Dengue fever is a danger to anyone living or visiting tropical or subtropical regions. It can be hard to detect the infection in its earliest and most treatable phase, especially in children. Luckily, new research highlights better techniques for triaging the disease in infected children with more severe symptoms, potentially saving lives. According to the Centers for Disease Control and Prevention, dengue fever (pronounced den-gee) infects upwards of 400 million people each year. Four related viruses from a family called Flaviviridae cause dengue fever infections. As a group, these viruses are responsible for a tremendous amount of suffering and death. Along with dengue, other flaviviruses include West Nile virus, Zika, and yellow fever — each spread by mosquito. Dengue is most often spread by the female Aedes aegypti mosquito, but Aedes albopictus has also transmitted the infection. A. aegypti also efficiently spreads Zika, and yellow fever, among other pathogens. With warming temperatures, the regional distribution of mosquitoes that carry dengue and other flaviviruses is spreading. As noted by the World Health Organization (WHO), the incidence of dengue has grown in recent years, with almost half the population of the planet at risk. Symptoms subside within four to seven days, but in some cases may be followed by more severe forms of the disease — dengue hemorrhagic fever (DHF) and dengue shock syndrome (DSS). Symptoms of a worsening infection include severe pain, vomiting blood, patchy reddened or clammy skin, and difficulty breathing. As DHF or DSS progress, blood vessels and capillaries leak plasma, leading to a cascading spiral of severe symptoms if treatment is not received. Since a virus causes dengue, antibiotics are ineffective, and there remains no vaccine for it, although research is underway to develop a vaccine that might impact the Flaviviridae family. 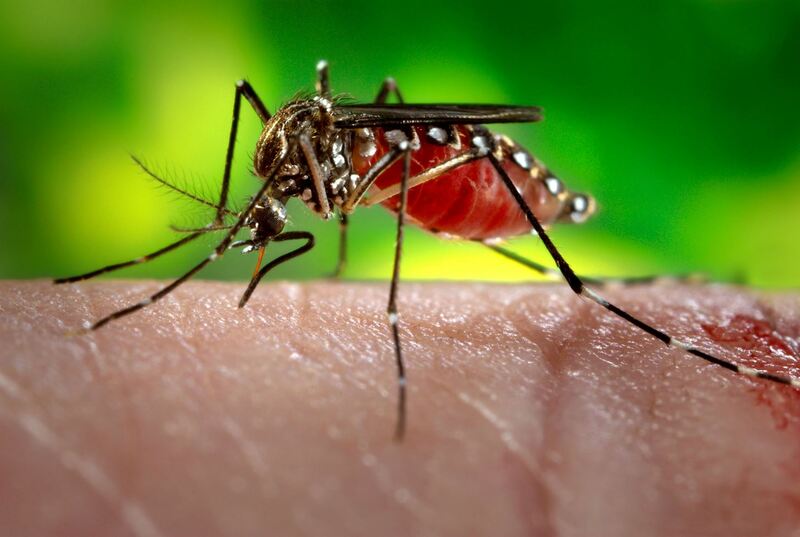 Published in PLOS Neglected Tropical Diseases, new research from the Oxford University Clinical Research Unit in Vietnam studied 2,301 children admitted to the hospital with dengue fever. The children were all between five and 15 years of age, and the researchers started studying them within four days of onset of illness. While young children suffer a more mild form of dengue, they are also more susceptible to DSS. Because they are young, children can rapidly decline when faced with serious illness. Study authors note attempts by the scientific community to establish models to predict progression from uncomplicated dengue fever into DSS have largely been unsuccessful. DSS is a medical emergency and can be quickly fatal. If doctors could understand which children are more likely to worsen, they have a better chance of providing stepped up monitoring and care to increase chances of survival. Attention to these factors at an early stage of the illness (within four days of onset) proved valuable for treatment of children who went on to suffer DSS. Researchers also note the prevalence of males which they noted could be a product of admission bias, or possibly parental healthcare decisions. Overall, this study offered proof of concept for including platelet counts in routine dengue laboratory tests to more readily identify children at greater risk of DSS. This procedure also provides physicians a tool in outpatient clinics to help make decisions about which children might be less likely to develop DSS and which are better off going to the hospital. Before mosquito eradication efforts, dengue was endemic to the US and caused epidemics involving "tens of thousands" of reported cases from Colonial times forward in areas including Pennsylvania, Florida, Georgia, Louisiana, and New Orleans. In recent decades, small dengue outbreaks continue to occur in warmer parts of the country, including Texas, Hawaii, and Florida. The disease spreads when persons suffering dengue pass it to others through the bite of an infected mosquito. 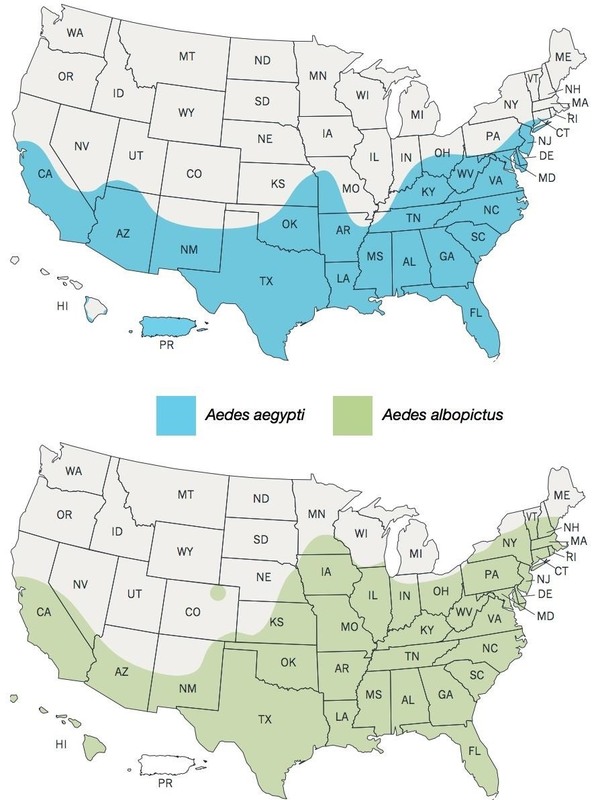 Both A. albopictus and A. aegypti maintain a presence in the US, with territories that may expand as the climate continues to warm. Recent research suggests individuals previously infected with a flavivirus — like West Nile virus or dengue — are at greater risk for severe complications if they are later exposed to the Zika virus. Methods of prevention of infections spread by arthropods, like ticks and mosquitoes, are the same. Pay attention to areas and times of day when these bugs are out, use DEET-based repellents, and watch carefully for symptoms if exposed. The WHO notes that 2016 was "characterized by large dengue outbreaks worldwide." Although classified a neglected tropical disease, researchers continue to work on tools and technologies to prevent dengue fever and diagnose and treat those who suffer this too-common infection.